What are fiber-tracking systems and what are they used for? A fiber tracking system is a mechanism that tracks fiber sources from the forest to the final product. That way we can ensure that the fiber contained in our product can be traced back to responsible sources and that it was legally harvested. And that includes fiber purchased from external suppliers. Doing this helps to ensure the sustainability of our fiber supply. All of our North American pulp and paper mills and wood products facilities have fiber tracking systems. Sometimes customers and other end-users will need detailed certification information for their records. Click here to see the certifications of individual operations. 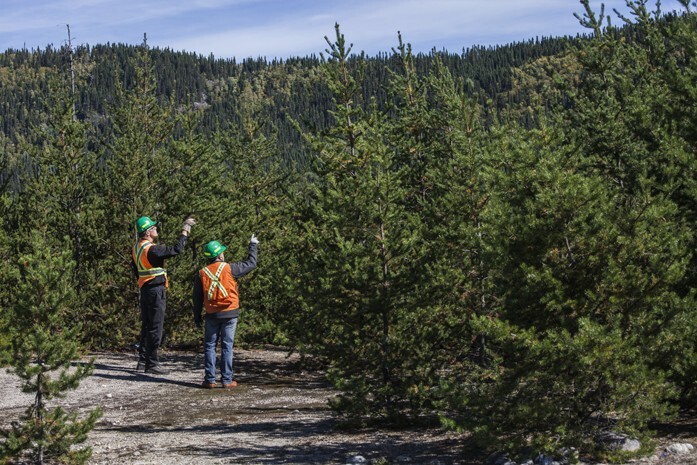 What’s more, all of our North American operations are also third-party certified according to one or more of three internationally-recognized chain of custody (CoC) standards: Sustainable Forestry Initiative® (SFI®), Forest Stewardship Council® (FSC®), Programme for the Endorsement of Forest Certification (PEFC). For both our internal and external wood and fiber, 100% is sourced in accordance with the FSC Controlled-Wood standard, the PEFC CoC due-diligence requirements or the SFI fiber sourcing requirements, and in some cases a combination of these standards. All of these require 100% of the fiber processed to meet minimum due-diligence requirements related to risks of illegal logging and other important sustainability issues. Having a fiber tracking system in place allows us to confirm to manufacturers and traders that they have avoided timber and timber products from unacceptable sources. Depending on the tracking system, additional requirements may apply that relate to high conservation values, conversion of forests to non-forest uses, propagation or use of genetically modified trees, corruption, indigenous rights and/or workers’ rights. Check out Resolute’s combined 2014 Annual Report for more information on how we track our products back to responsible sources and other interesting #RFPfacts.